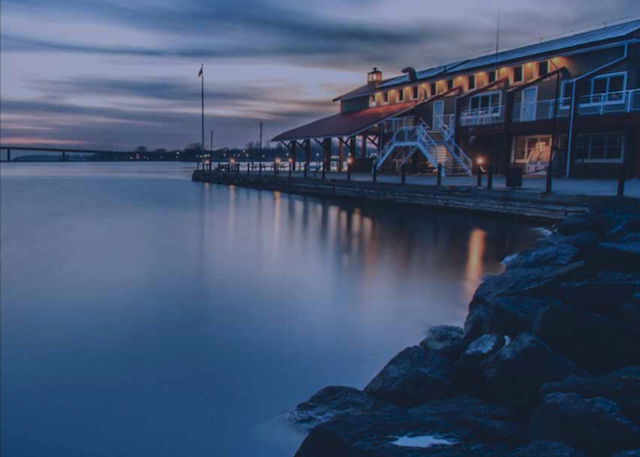 The Bay of Quinte Region is a massive area on Lake Ontario’s northern shore, rich in culinary and water-based experiences. Unfortunately, the Region lacked the same allure and recognition afforded to bigger destinations with larger marketing budgets. Together with the Bay of Quinte Tourist Council, Cult set out to uncover what was really remarkable about the region, and align regional tourism stakeholders behind a cohesive destination brand and marketing strategy to generate a long-term sustainable increase in leisure travel visitation. 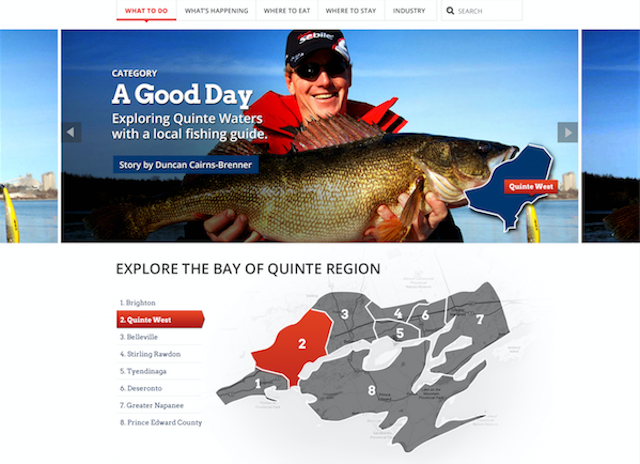 Informed by market research, we identified key visitor segments and created a targeted, authentic brand promise to underscore the unique, ownable and desirable regional attractions under a master Bay of Quinte Region brand platform. We facilitated a series of workshops to establish consensus among local tourism stakeholders, and designed a 3-5 year destination marketing plan designed to best serve their needs and interests. Together with the council, we premiered the new brand and plan at a public unveiling to a broader regional audience at The Empire Theatre in historic downtown Belleville. Lacking mass-media budgets, we helped the region direct investments towards much-needed marketing infrastructure, sponsorship, stakeholder education, talent acquisition, and the creation of new, owned revenue-generating assets, focused on delivering long-term ROI. Chief among which was a Cult-created, content-rich, mobile-optimized online destination, designed to provide useful travel information and tools. It reinforced the region’s core destination experiences. 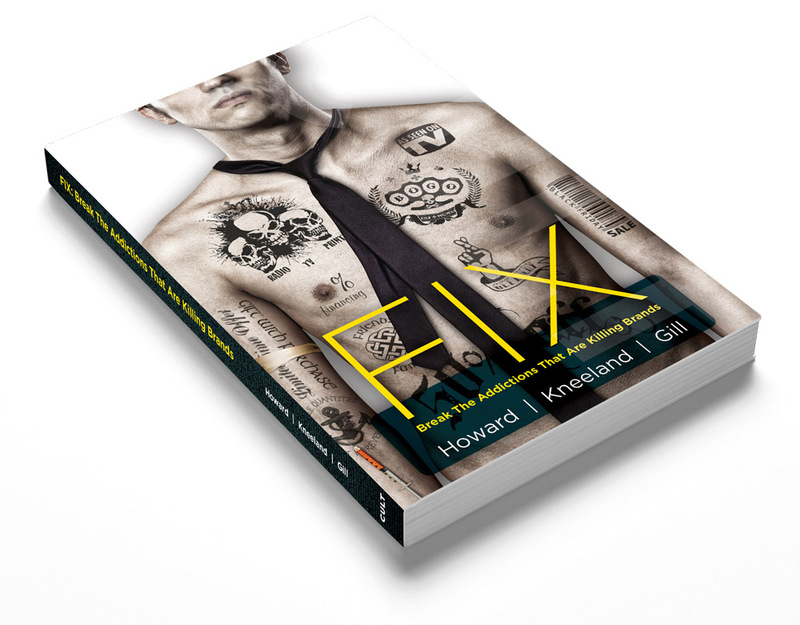 We grew the content base through serialized video webisodes and vignettes, a monthly opt-in eNewsletter, downloadable information premiums and a multi-channel social media presence. Integrating the online property with Google, we enabled local tourism stakeholders to effortlessly list their businesses and attractions, subsequently incenting stakeholders to create a Google+ profile. Working with local stakeholders, we helped develop a new Bay of Quinte Region Cheddar & Ale Trail route that spanned the region and tied together culinary experiences, celebrating the local history of beer and cheese making. Finally, we helped secure celebrity sportsman, Bob Izumi, as a brand ambassador, who filmed several episodes of his globally syndicated Real Fishing TV show in the region. 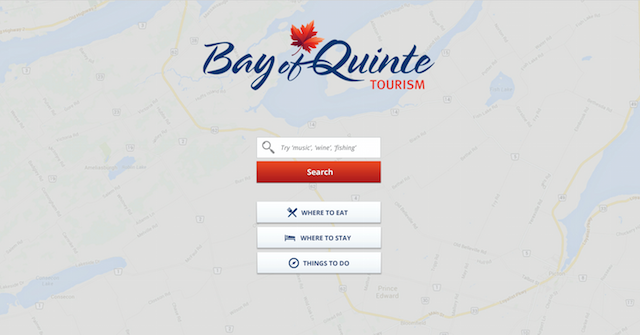 The new online destination generated tens of thousands of visits in the first six months and has since become the primary channel through which the entire Bay of Quinte Region delivers the promise of the destination experience to travellers, and builds value for all tourism stakeholders. The earned media value from Bob Izumi’s Real Fishing exposé was estimated at $500,000, pre-syndication, for reruns. The region is now the top destination in Eastern Ontario for golf packages and fishing, and and is drawing national attention, most recently through Travel & Leisure and Time magazines, which listed the Region’s Prince Edward County in their top places to visit. Over 2015, hotel occupancy doubled and, year-over-year, there was a 28% increase in home purchases.